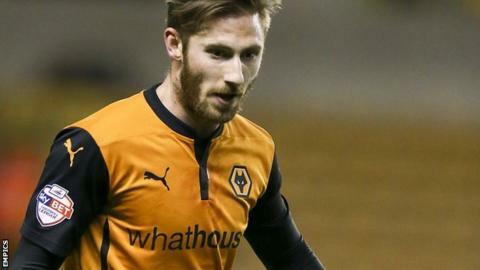 Wolves winger James Henry says the promotion-chasing club have 'got to believe' in their chances of going up. Kenny Jackett's side have rallied well from an awful November that saw them fall from top spot in the Championship. Thanks to Henry's late equaliser at Bolton, Wolves have picked up 18 points out of 24 from an unbeaten eight-game run and are seventh in the table. "To get a point at Bolton keeps us in the mix. And we've got to believe we can get there," Henry told BBC WM 95.6. "It's like a great end to a story," added the 25-year-old, who came on as a second-half substitute to score his fourth goal of the season. "We weren't very happy with our performance. But it's the sign of a good team when you're not playing to your full potential and you still manage to pick up points. With 18 games of this season's Championship campaign to go, Wolves, on 45 points, are just two shy of a play-off place - and nine behind the current top two, Bournemouth and Derby County. Their current eight-game unbeaten run directly followed five successive defeats. "There's a lot of games when you think you can do better, even sometimes when you win. But to not lose keeps your confidence up." Wolves have an even more settled feel to their squad for the rest of the season now that the January transfer window is over. West Bromwich Albion target Bakary Sako has remained at Molineux, with Leon Clarke's loan move to Wigan Athletic and the departure of Roger Johnson having been their only major market moves. "We've got a good 20-man squad, with people on the bench still to come in like Michael Jacobs, who hasn't had much game time," added Henry. "We've still got Sako to come back from the African Cup of Nations and we'll need all of them if we're to make top six, or even top two."